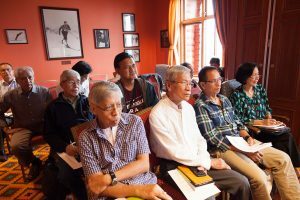 Press release | OSLO, Norway – The panel-to-panel meeting between the Government of the Philippines (GPH) and the National Democratic Front of the Philippines (NDFP) commenced in the morning of August 23. Today, the panels finished the discussion on the affirmation of previous signed agreements, reconstitution of the Joint Agreement on Safety and Immunity Guarantees (JASIG) list and acceleration of the peace negotiations. This meeting at the Reidar Andersen, Birger Ruud and Thorleif Haug Halls of the Scandic Holmenkollen Park Hotel came after the representatives of both panels had agreed and approved the program of the five-day formal peace talks the previous day. On the first item of the agenda, the two panels agreed to reaffirm all previously signed agreements since The Hague Joint Declaration of 1992 and resolved to conduct formal talks and consultations in accordance with said agreements. Aside from The Hague Joint Declaration, both parties reaffirmed all the previous bilateral and binding agreements made in the peace negotiations that include the JASIG of 1995; Joint Agreement on the Formation, Sequence and Operationalization of the Reciprocal Working Committees of the GPH and NDFP Negotiating Panels of 1995; and the Comprehensive Agreement on Respect for Human Rights and International Humanitarian Law (CARHRIHL) of 1998, the first of four items of the substantive agenda in the peace negotiations that have been agreed upon by both sides. The NDFP panel presented the reconstituted list of holders of the NDFP document of identification (DI) that gives them protection by the JASIG, which was acknowledged by the GPH panel. The GPH agreed to issue a letter of acknowledgment on the receipt of the NDFP list. 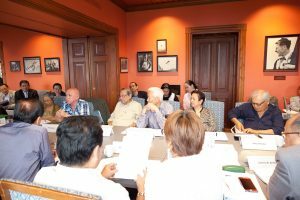 The JASIG is meant to provide the conditions conducive to free discussion and movement of NDFP personnel involved in the peace negotiations and to avert any incident that may jeopardize the peace negotiations. Without the JASIG, peace negotiations would not be possible. Both parties agreed to accelerate the peace process and set the timeline for the completion of the three remaining items in the substantive agenda namely, social and economic reforms, political and constitutional reforms and end of hostilities and disposition of forces. The two sides agreed that the Reciprocal Working Committees on Social and Economic Reforms (RWC-SER) of the GPH and NDFP shall meet in September. The RWC-SER shall tackle and strive to reach an agreement on genuine land reform, national industrialization, workers’ rights and welfare, social welfare, education and culture. They would also strive to finish within six months from September the tentative Comprehensive Agreement on Social and Economic Reforms to be submitted for approval by both panels. The last session of the day consisted of the simultaneous meetings of the Reciprocal Working Committees on Social and Economic Reforms and the two Reciprocal Working Groups on Political and Constitutional Reforms and End of Hostilities and Disposition of Forces. They discussed the agenda of their next meetings, the mechanics and schedule of their future work. 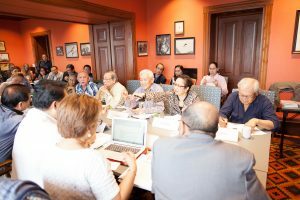 [Kristine Angeli Sabillo | Inquirer.net] Despite not being privy to the discussion of House Speaker Feliciano Belmonte and Communist Party of the Philippines (CPP) founder Jose Maria “Joma” Sison, Malacañang on Saturday said it was a promising update. “Magandang umpisa po ito na Speaker Belmonte and Mr. Joma Sison were able to speak to each other (It’s a good start that Speaker Belmonte and Mr. Joma Sison were able to speak to each other), and we certainly welcome the statement made by Mr. Sison on our case against China before the ITLOS (International Tribunal on the Law of the Sea),” Presidential Spokesperson Edwin Lacierda said during a press briefing. Belmonte and other government officials are in the Netherlands to attend the hearings of the Philippine petition against China before the United Nations Arbitral Tribunal. Both Belmonte and Sison confirmed the meeting, which they said was “social” in nature. They, however, declined to give specific details. Sison told INQUIRER.net that the three-and-a-half-hour meeting involved a wide range of topics including promoting the peace negotiations between the Philippine government and the National Democratic Front of the Philippines, which is the political arm of the CPP. The CPP founder said there is enough time to resume formal peace talks. Belmonte, on the other hand, said it was a bridge-building meeting that was appreciated by Sison, NDFP negotiating panel chair Luis Jalandoni and other NDFP members. Belmonte was accompanied by House majority leader Neptali “Boyet” Gonzales II. Asked if members of the Executive branch were able to speak to Sison, Lacierda said he was not sure if Presidential Adviser on Political Affairs Ronald Llamas, who is with the Philippine delegation in the Netherlands, was present at the meeting. 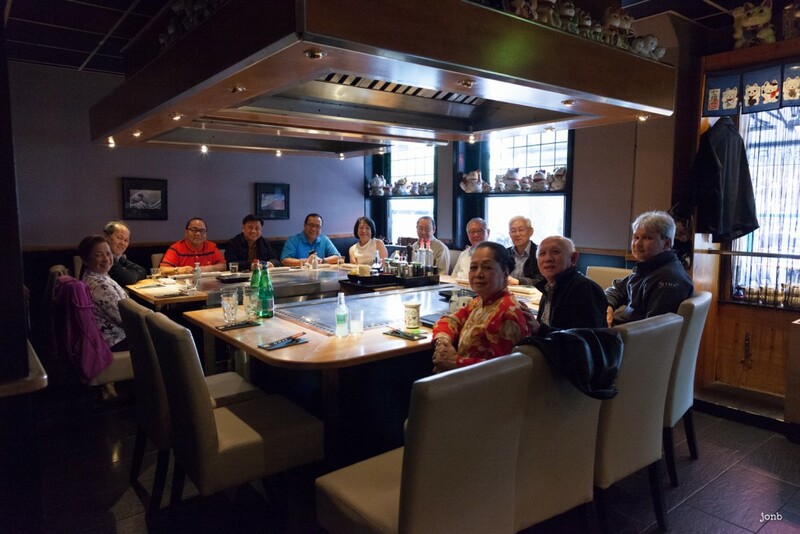 In the photo taken by Jon Bustamante and forwarded to INQUIRER.net by Sison, Llamas was not with the group. Lacierda said Malacañang will just await the feedback of Llamas or Belmonte. He said the Philippine panel was ready to the discuss peace with the CPP-NPA (New People’s Army)-NDF. Talks between the two parties have been stalled because of various issues, including the implementation of the Joint Agreement on Safety and Immunity Guarantees (Jasig).